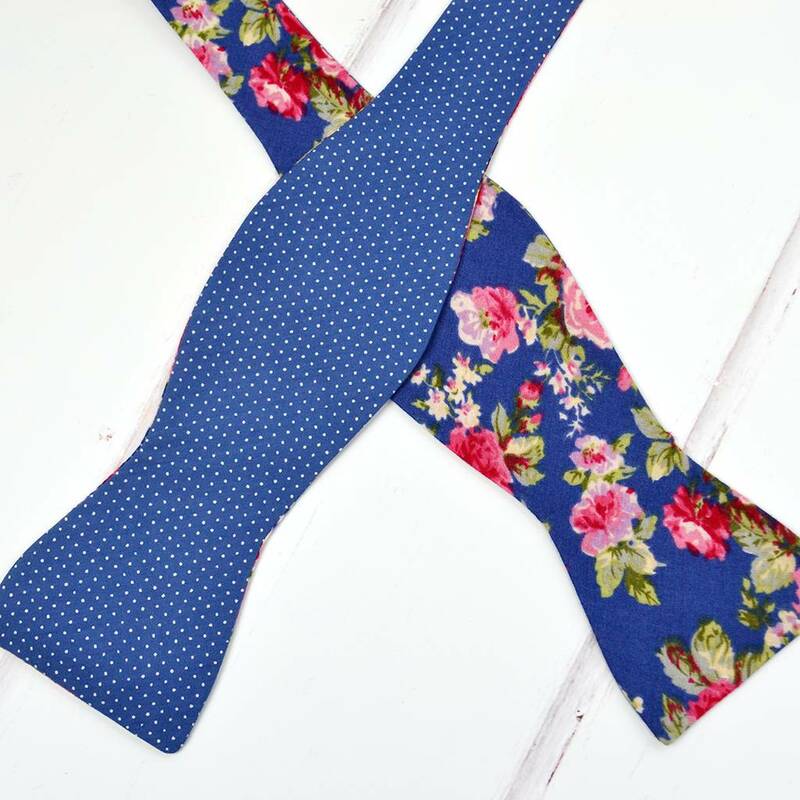 One stunning handmade mix and match bow tie in beautiful blue polka dots and floral pattern. 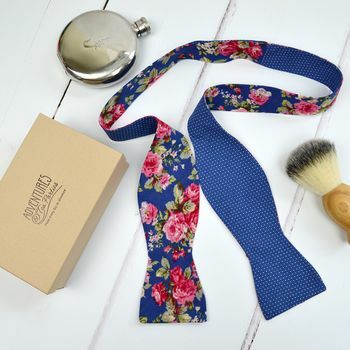 A bow tie is the perfect suit accessory for a groom, best man, father of the bride and it makes a great finishing touch to an outfit for a special occasion or as a wonderful cotton themed gift for a second wedding anniversary. 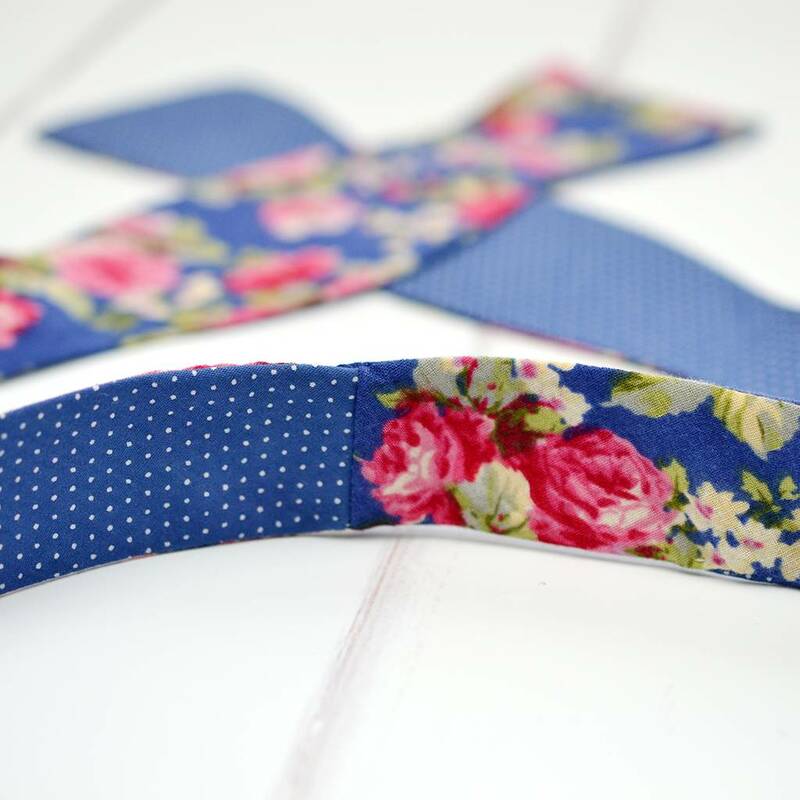 Handmade from a beautiful soft floral print and smart blue polka dot, this self tie bow tie is totally unique! 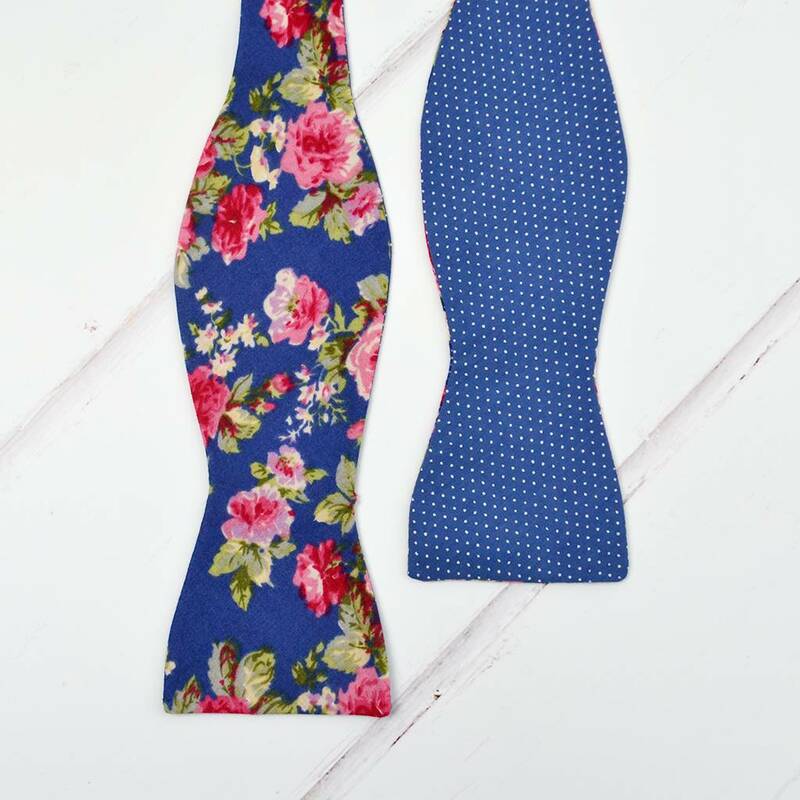 One end of the bow tie is floral and the other polka dots, with the opposite on the reverse side. Your made-to-order bow tie comes wrapped in a smart Adventures & Tea Parties branded box, ready for you to add your own gift wrap touch. 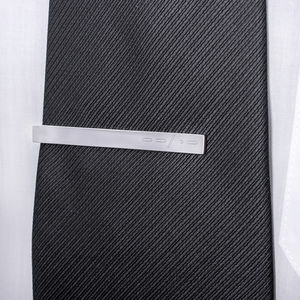 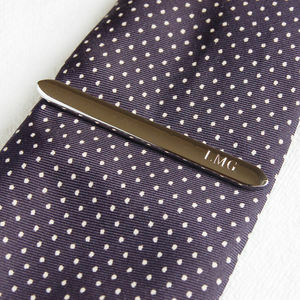 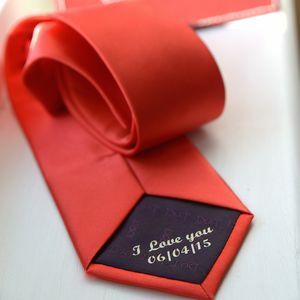 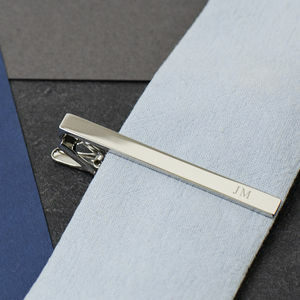 Also available are matching cufflinks, personalised tie and a personalised handkerchief. 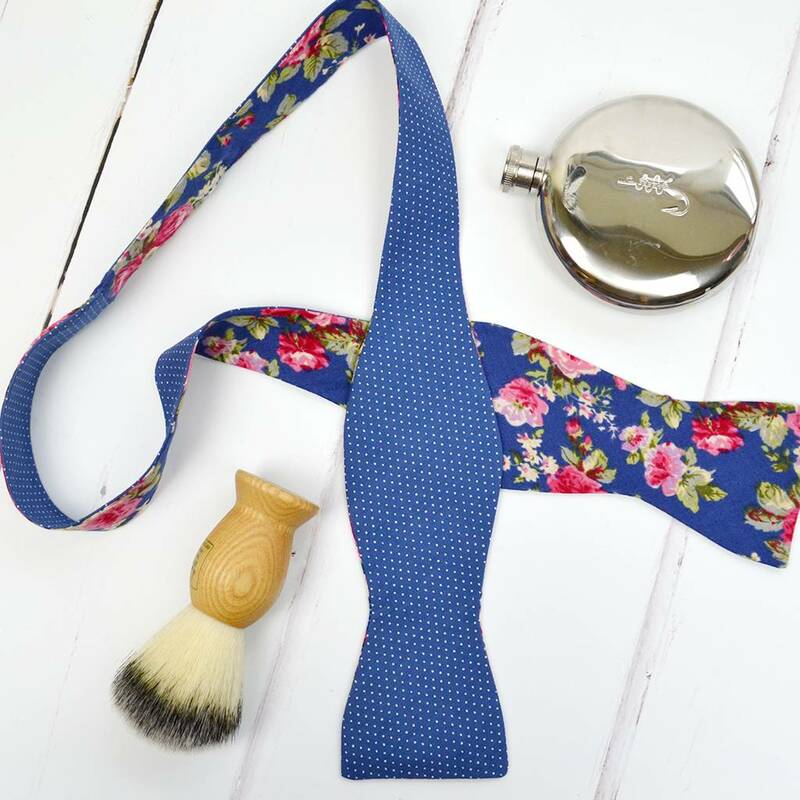 The bow tie measures approximately 37.5 inches in length and 2.75 inches at the widest point of the bow's width.